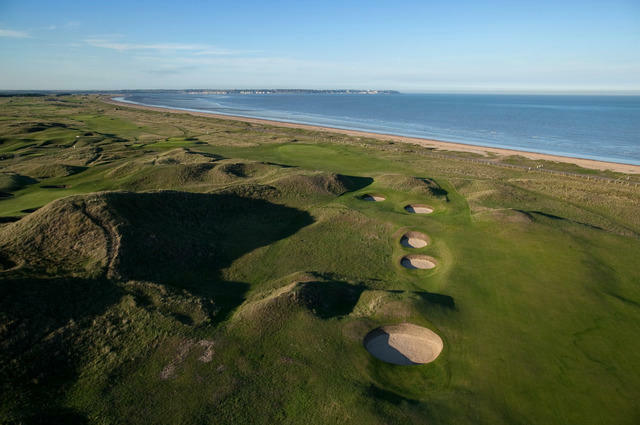 Venue for The Open in 2020! 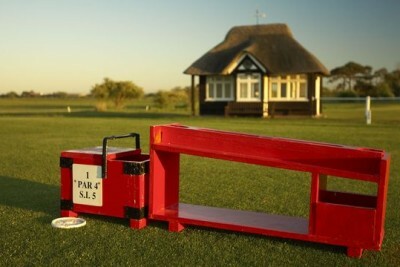 Royal St George’s Golf Club is one of the world’s great courses. 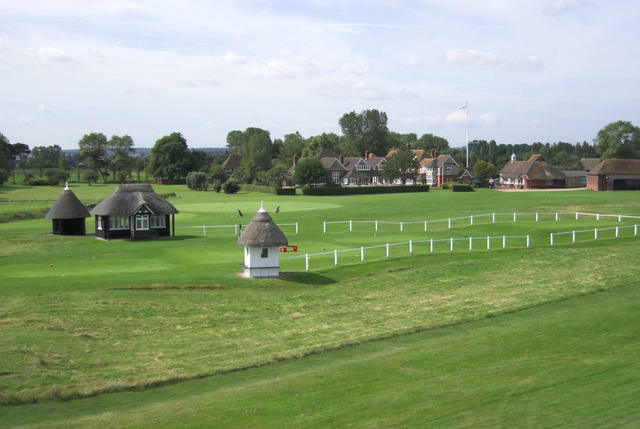 Having hosted Opens, PGA and Amateur Championships and Walker and Curtis Cups, it has been witness to more golfing history than any other in England. 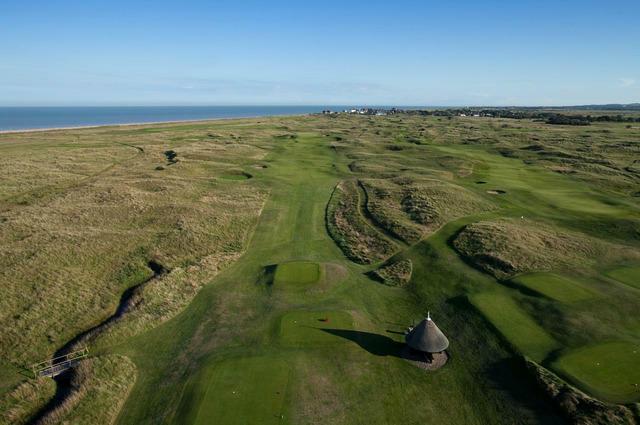 It was also the setting, in the guise of Royal St Mark’s, of golf’s most famous fictional match, the contest between James Bond and Goldfinger. 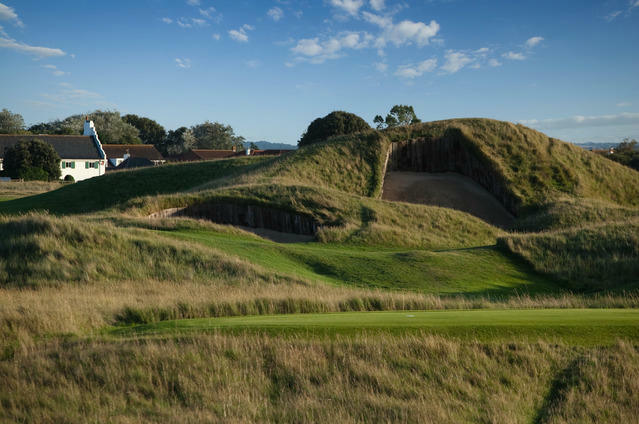 Designed by William Laidlaw Purves in 1887, it has constantly evolved to pose a tough test for championship and more modest players alike. 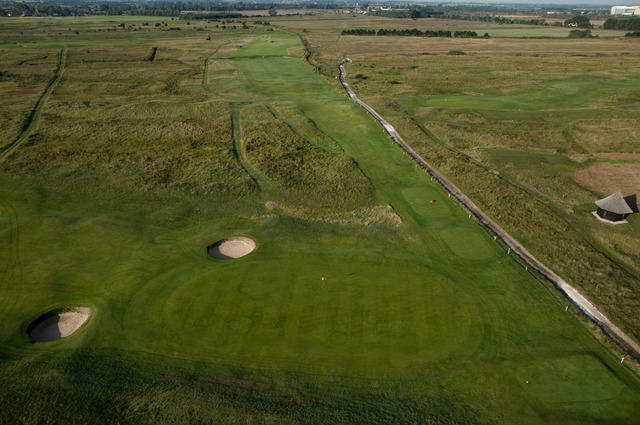 In common with many links, it is characterised by humps and swales, dunes and wild rough, fast-running fairways and deep bunkers. 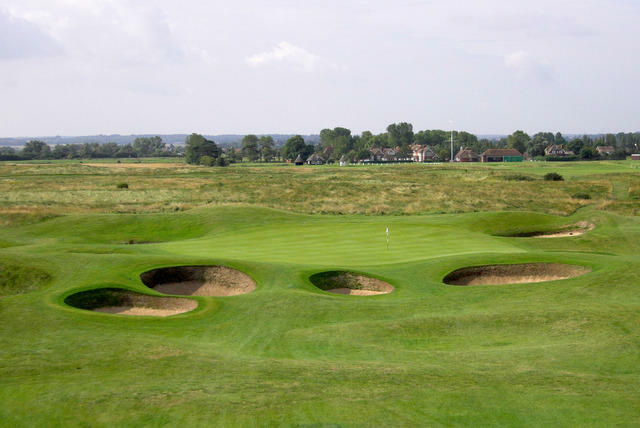 Demanding carries put a premium on strong driving, but even with such uncompromising terrain properly flighted and directed shots will always find their target and leave a clear line to the green.